Through athletics, family and business; John has achieved great success and trying times. Initiated and prevailed in a landmark (certified for publication) lawsuit against the Bank of America in a dispute over family owned real estate. Former President and current memeber of the Board of Directors for Pediactric Cancer Research Foundation 1989 - present. 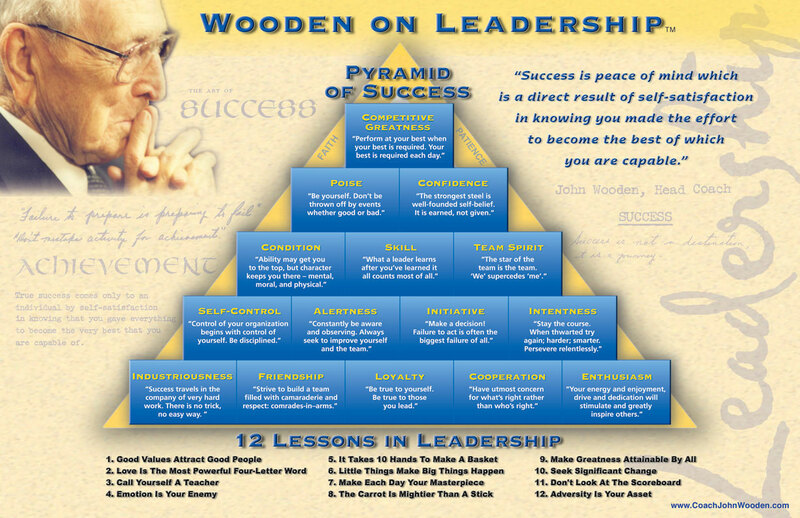 I would like to share my personal journey to the discovery of a very important and useful motivational toll, the Pyramid of Success developed by UCLA basketball coach, John Wooden. I have been using this concept for all my adult life. Learn about the application of the Pyramid of Success as it relates to the competition and being involved in relationships. This self evaluation process has been a tremendous guide through the highest highs and darkest lows of the human experience. become the best that you are capable of becoming." "I've had the pleasure of meeting many great UCLA student-athletes. I have found them to also be great people, many of whom display with abundance such qualities as competitive fire, sportsmanship, heart, inspiration, leadership, and social conscience. Some of them combine all such attributes and employ them in unique and substantive ways. Indeed, the ones that do are the truly special individuals who not only make you proud to watch them, but to know them. These are the superstars who use their athletic achievements as not only building blocks, but as stepping stones to life's grander assignments. John Vallely is one such person, a man who knows how to win in life...the right way. You'll not only enjoy, but be entertained and empowered by his words and message. I am every time". “The purpose of this letter is to recommend John Vallely as an excellent public speaker. 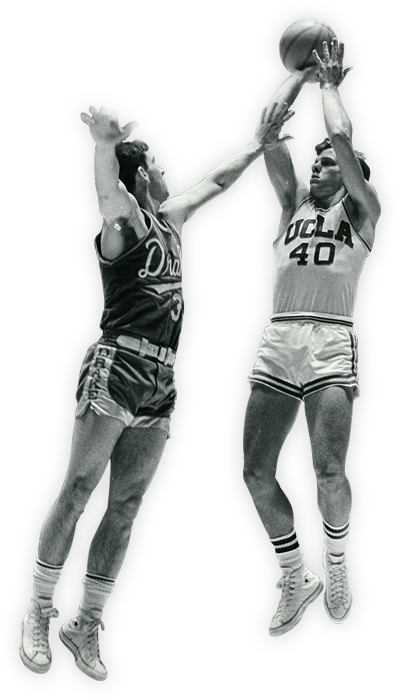 As a former teammate, I have heard him on a number of occasions, including most recently at his induction into the UCLA Hall of Fame Induction ceremony in October of 2006. He has a good message and story to tell of his own life experiences that tie into his many accomplishments in life. He has experienced many highs athletically and in his personal life, many lows. During his speech at the Hall of Fame Induction one could hear a pin drop to the floor as he covered some of the difficult parts of his life’s journey. When one has reached the pinnacle of accomplishments athletically in basketball and beach volleyball and seen the lows in life, it is a truly compelling story. He conveys this concisely and articulately in a straightforward manner without needless whining or complaining. It is indeed inspiring to hear". “I was uplifted by the humble message and giant heart of an athlete who has walked the walk of cancer that stole the life of his precious young daughter, Erin; yet later spared his own. I am grateful and forever changed as I journeyed in spirit with the dynamic John Vallely. The depth of his experience and good humor enlightens the struggles, doubt, loss, restored hope, triumphs, and convictions that he and we all may face as we each seek to make sense of life. Want John to speak at you next event?Book John Now! To find out more about John speaking at your next event give us a call or a send us an email. © Copyright 2006-2017 John Vallely. All rights reserved.